A proposed bill would make life more affordable by strengthening consumer protections and helping businesses succeed. Minister McLean tables Bill 31: A Better Deal for Consumers and Businesses. A Better Deal for Consumers and Businesses Act would support a level playing field for businesses and improve protections for Albertans making big purchases like buying or repairing a car, buying concert tickets, taking out a loan or getting medical care for their pets. If passed, the bill would also empower shoppers with more information and put bad actors on notice, with strong recourse for consumers if a transaction goes wrong. Put fans first by helping prevent ticket fraud and gouging through measures including: banning ticket bots that allow scalpers to buy tickets in bulk, requiring that ticket sellers carry out due diligence to identify any ticket purchased by bots, and requiring re-sellers to offer full refunds for tickets that are cancelled, counterfeit or purchased by bots. Introduce strong rules for buying a car and standards for car repairs. Regulations would require sellers to disclose vehicle history, use a standard bill of sale and follow minimum warranty protections for repairs. Better protect borrowers against high-cost credit by licensing high-interest lenders and establishing disclosure and advertising requirements so consumers know what they are signing up for. Support pet owners in finding quality care by requiring fee disclosure and getting customer approval before administering veterinary services for pets. Strengthening oversight of the auto sector by transitioning the Alberta Motor Vehicle Industry Council (AMVIC) board to a public agency, and enabling the minister responsible to oversee governance issues to ensure the auto regulator is properly protecting consumers and building integrity in the industry. Boost consumer confidence when shopping by creating a Consumer Bill of Rights to let Albertans know their rights, require consumers to be informed and consent to any contract changes, disallow clauses that prevent consumers from posting negative business reviews, and enable government to publicly release information about charges, convictions and other enforcement actions taken under the act. “The failings of the so-called secondary ticketing market are global in scale, and though FanFair Alliance is focused on the U.K.'s live music business, we welcome and support all measures – including these in Alberta – that aim to make ticket resale more transparent and consumer-friendly." “Better Business Bureau’s vision is to create an ethical marketplace where buyers and sellers can trust each other. 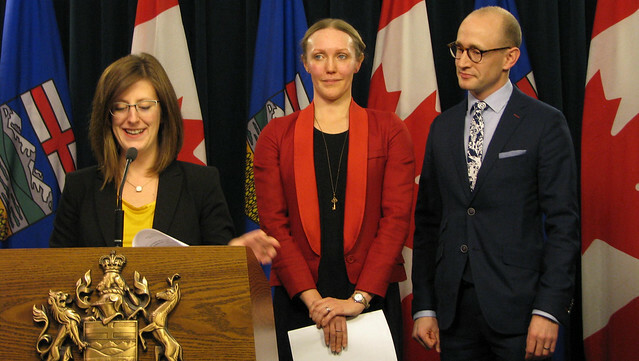 BBB hopes these legislative changes in Alberta will help advance marketplace trust by giving businesses a framework for operating ethically, calling out those who don't and giving consumers confidence that they're protected from unethical players." If passed, the bill would improve protections in the following areas, which were the most popular topics raised during public consultations over the summer. Rename the Fair Trading Act as the Consumer Protection Act to focus the intention and purpose of the act. Enable the minister to create a bill of rights that will be a guideline to recognize and respect consumers’ rights, and inform buyers of their rights and support them in making informed purchasing decisions. Ban the use of bots and to help enforce this ban, ensure that businesses and consumers who are harmed have the right to sue bot users. Require sellers to provide refunds for consumers who buy their tickets on the secondary market from places like StubHub when the ticket is cancelled or is counterfeit. Require sellers to disclose vehicle history. Require a standard bill of sale. Establish minimum warranty protections for repairs. Require repair shops to provide written estimates, upon request, prior to beginning work. Require repair shops to obtain consumer authorization before beginning work. Define high-cost credit as 32 per cent and above (e.g., pawn shops, rent-to-own furniture, high-interest instalment loans). Establish disclosure and advertising requirements such as a standard format for information to be disclosed in high-cost credit transactions and only advertising in the name under which they are licensed. Require the use of standard contract formats or contract terms so consumers clearly understand the nature of high-cost credit and, as a result, can make more informed decisions. Establish licensing requirements for high-interest lenders, giving government a stronger ability to enforce marketplace rules through a licensing framework. Require disclosure of fees before administering any veterinary services or treatments for household pets. Enable advertising or posting of fees. Require customer approval prior to administering veterinary services, unless it is an emergency. Strengthen the oversight of AMVIC to better protect the interests of consumers and ensure integrity in the automotive industry. Transition AMVIC into a corporation subject to enhanced oversight by the minister. Enable the minister to set the composition of the AMVIC board, regulate the appointment of specific roles such as board chair, establish rules for how the board makes decisions and address other similar issues. Require consumers be notified about and consent to any changes to contracts. Disallow clauses that prevent consumers from posting negative business reviews. Give consumers who file complaints in good faith or who issue a negative review a new right of defence against lawsuits. Give consumers an expanded right to sue in instances of losses. Enable the public release of information about charges, convictions and other enforcement actions taken under the act. The government will also work on setting up a new consumer protection office next year, to consolidate its consumer protection activities – consumer protection call centre, public education, investigations, regulation administration – to enable more proactive actions (e.g., consumer alerts, investigations, anticipating marketplace issues) and preventive measures in addressing consumer trends. The Fair Trading Act ensures transactions between businesses and consumers are conducted fairly. The act came into force in 2000 and has not been significantly updated since 2005. Service Alberta investigates potential violations of consumer protection laws, reviews complaints for transactions between businesses and consumers and takes enforcement action where legislative breaches have occurred.